Fundraiser by Marie Giella : HOUSE FIRE TRAGEDY Please Help! HOUSE FIRE TRAGEDY Please Help! My dear friend Sarah's apartment caught on fire this morning while she was away at work. A good Samaritan was alerted by her foster dog Tom's barking and managed to let him out of the house. Unfortunately it was too late to save anything else and the flames rapidly engulfed the entire house. She lost absolutely everything. All she has left is the clothes on her back and a backpack she carried into work this morning. 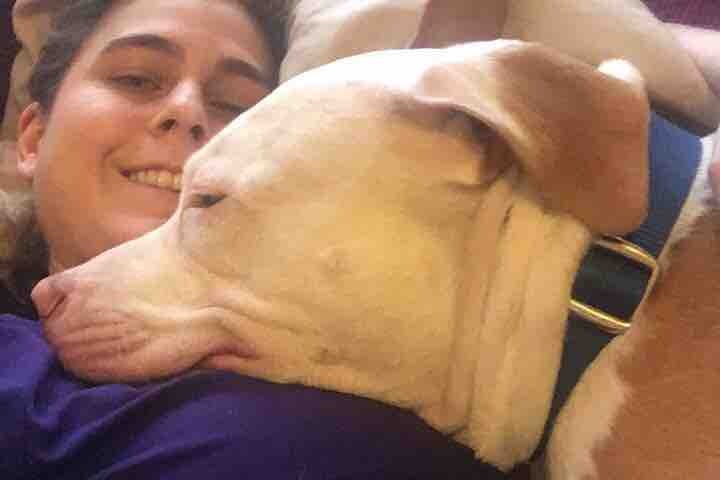 Sarah doesn't have any family or close relatives to help her get back on her feet, all she has is us, her friends, co-workers, fellow animal lovers and anyone who will be generous enough to donate to this campaign. We are trying to gather enough funds to help get her settled into a new apartment (security deposit, first month rent etc..) and start over. This is an emergency fund, as of this moment she doesn't have anywhere to go, anywhere to stay and lost everything in the fire. For years Sarah has been dedicated to helping animals in need and now we need to step up and help her! Please donate now if you can!